Last week CCSD students showed their appreciation for active military by putting together care packages. Last week I had the pleasure of observing some presentations by Cañon City High School Teacher Madison Tortessi’s Technical Writing students aimed at designing posters about each of our core beliefs. There’s certainly no better way to support student understanding of our Core Four than to have them consider what images best represent each of them. I appreciate the effort Ms. Tortessi made to design such a relevant learning activity for her students, and look forward to what they’ll present to our Board of Education at their meeting Monday evening. Many of our schools did a wonderful job honoring our nation’s veterans last week. Harrison K-8 students were treated to a school assembly where they heard firsthand stories from some of our community heroes. I also want to thank CCSD Truancy Coordinator Tonya Wolfe for organizing a care package drive for current active military. I even had the pleasure of seeing some of the messages our children wrote to service members who will receive these articles of appreciation. In an effort to better understand and meet the social-emotional needs of some of our more challenging kids, Board Member Shad Johnson, Assistant Superintendent of Schools Adam Hartman, Health and Wellness Coordinator Brian VanIwarden and I attended a banquet in Pueblo last Friday evening to hear research guru Ruby Payne speak about things we should consider when attempting to educate students who come from poverty. Board President Larry Oddo explains the financial oversight responsibilities of board members to academy participants. Last Thursday our Board of Education held its first Board Candidate Development Academy. At this event, six attendees from the community learned about what it’s like to serve on a board of education. I commend each attendee for giving their time, and the entire board for the great job they did sharing their knowledge of the role of a member of a board of education. Our hope is several of these attendees will seek election next fall when we have three open seats. At our board meeting on Monday we’ll review our annual financial audit. Director of finance Buddy Lambrecht and his entire team have worked hard tying this out, and we look forward to hearing from Hoelting and Company about how we are doing on this front. 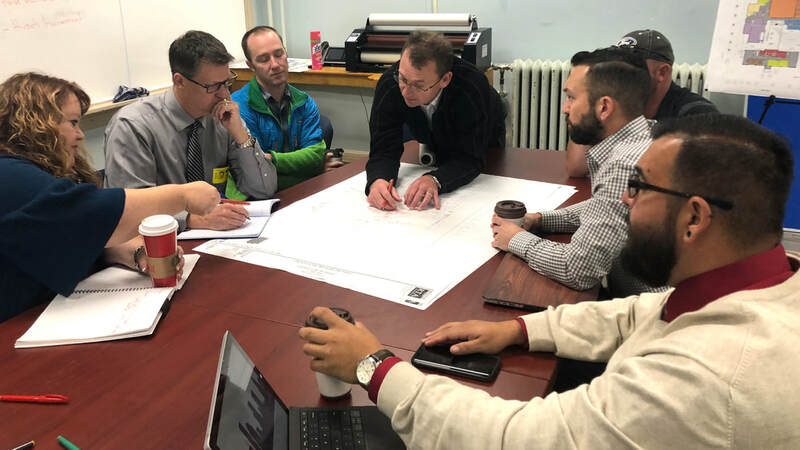 Our team of architects from RTA work with CCSD, SolVista, and Valley Wide Health Services to plan how a school based health center will be included in the CCMS building upgrade design. At Monday’s Board of Education meeting we hope to approve paperwork related to our participation in the annual Colorado Building Excellent Schools Today Certificate of Participation sale. This will secure the dollars we need to build our new Washington Elementary School. Though this is nearly a $25 million project, the cost to Cañon City taxpayers is only $6.5 million. On Tuesday and Wednesday we held all-day Cañon City Middle School and Washington Elementary Design Advisory Group meetings. At these sessions staff had the opportunity to offer input as to the design of specific classroom spaces. This week we'll hold our final Design Advisory Group meetings. We’ll then wait for our architects to complete there work before doing a final check on each design. Last week I conducted walkthrough observations at McKinley, attended a Monday afternoon and Tuesday morning Southern Superintendent's gathering in Pueblo, sat in on CCMS and Washington all-day building design meetings, and held a Central Administration Office Staff meeting. 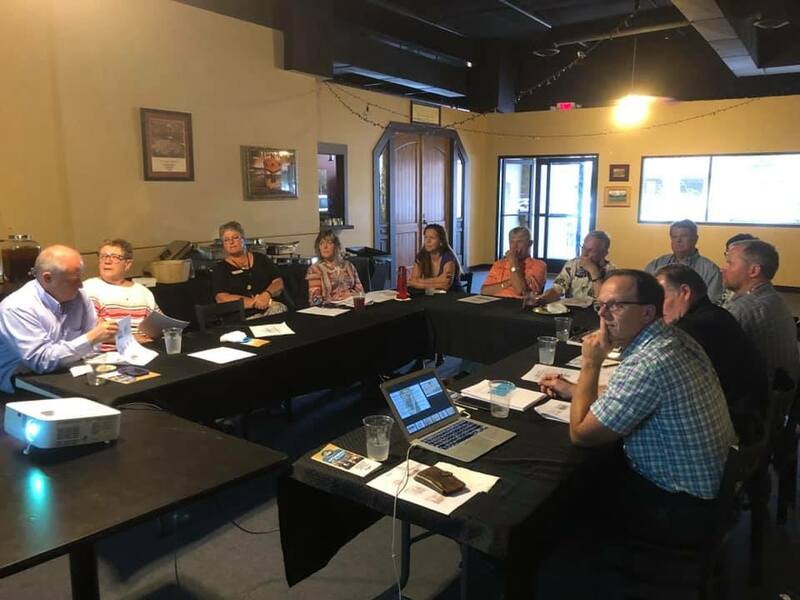 Later in the week I attended a Regional Wellness Advisory Team meeting, our Board Candidate Development Academy, a Cañon City High School technical writing class presentation, several expulsion meetings, and a Ruby Payne "impact of poverty on education" dinner presentation in Pueblo. Washington staff members discuss the location of key features in their learning community. On Monday I’ll meet with our McKinley Elementary Turnaround Support Team, work on more Federal Programs grant revisions, and attend a school board work session, meeting, and hopefully the annual Fall Pops Concert. On Tuesday I touch base with Director of Student Support Services Paula Buser, attend a monthly touching base meeting with Cañon City Police Department personnel, attend a Superintendent’s Advisory Council meeting, a District Leadership Team meeting, a CCMS Design Advisory Group meeting, and a Cañon City Education Association touching base meeting. We have a scheduled delayed start professional development day on Wednesday, but I’ll start my day with a Classified Association touching base meeting. I’ll then attend. Rotary Club meeting, and a Washington Design Advisory Group meeting. On Thursday I have a series of routine meetings including one with DHS Director Stacie Kwitek, and on Friday I attend a regional superintendent group meeting.